None of my kids can read. O.K. so one of them is only three, and the other two have only just recently moved to this country (from Ethiopia) and learned English. But in all honesty, I feel they should all be closer to reading than they are. My oldest daughter really wants to read and has a lot of anxiety about starting school again next month because she can't read. Problem is, she wants me to like zap her with the power to read and just be done with it like that. She is not very motivated to put the work in to actually figuring it out with me. She has actually told me numerous times that her brain is broken and she can't learn how to read. Guilty confession number 2: I have actually considered hiring a tutor to teach my daughter to read. I can't tell you how many people have told me how great I'm going to be at teaching my kids English, and teaching then how to read. I should be, right? 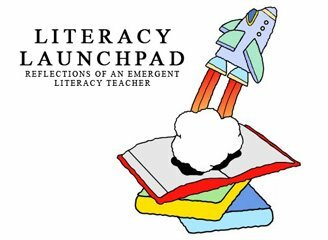 I mean, heck, I'm the "Literacy Launchpad Lady" for crying out loud! But, my forte is more getting kids prepped for learning to read, and instilling motivation in them. I work with preschoolers who aren't at the actual reading stage yet. So when you put me and my daughter together, who already struggle to connect just as a mother and daughter, add the stress of learning to read (with all the anxiety surrounding it on my daughter's part), add a traumatized brain that struggles to retain info, add two brothers who have to be up in everybody's business all the time, and add the fatigue from all our summer activities... it's just tough! Right now we're still just working on letter sounds. I think she finally has the letter names down. Progress! But yes, very slow progress. Forgive me for my absence here. I'm new to the whole being a mom of three kids over summer break thing. It's time consuming. I'll be back. Promise!